Today was gray and drizzly, but the forecast called for rain so we’re not complaining. 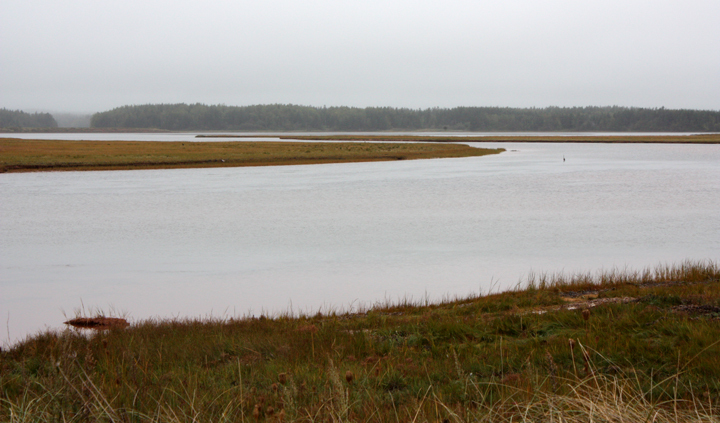 We headed south again, this time on the opposite (western) shore of the island. We had a quick tour through Miminegash in search of the reportedly delicious “seaweed pie,” but the café closed for the season last Saturday. 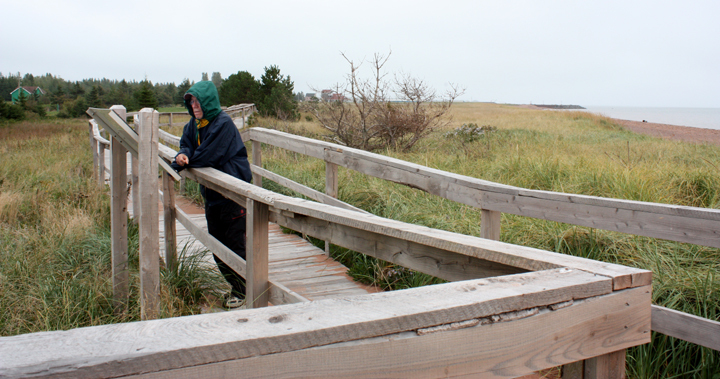 At West Point we took a stroll on the seaside boardwalk at another closed Provincial Park – Cedar Dunes. 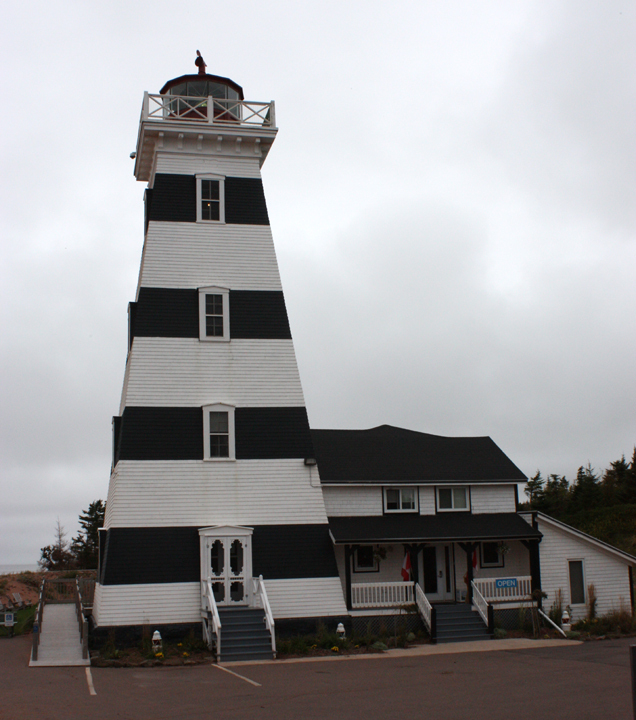 We also had a quick look at the lighthouse there, the only one in Canada that also serves as an Inn. Enjoyed lunch overlooking the harbor and stopped in to a local craft co-op. 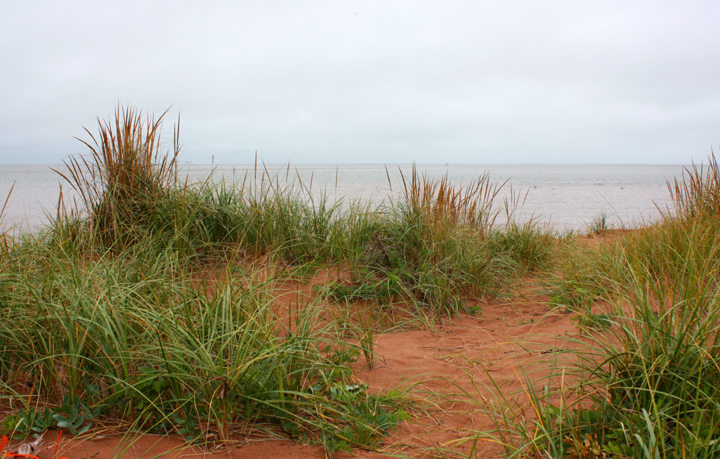 Tonight we camped at Crystal Beach Campground near Summerside, mostly because we needed to take showers and do laundry. It’s an OK place right on a bay, but its true appeal right now is that it is open. During the season everyone would be packed in way to tight for our liking. The options are narrowing as the season winds down. Luckily we can be self-sufficient in haRVy for several days at a time. The forecast calls for rain again tomorrow and Sunday. 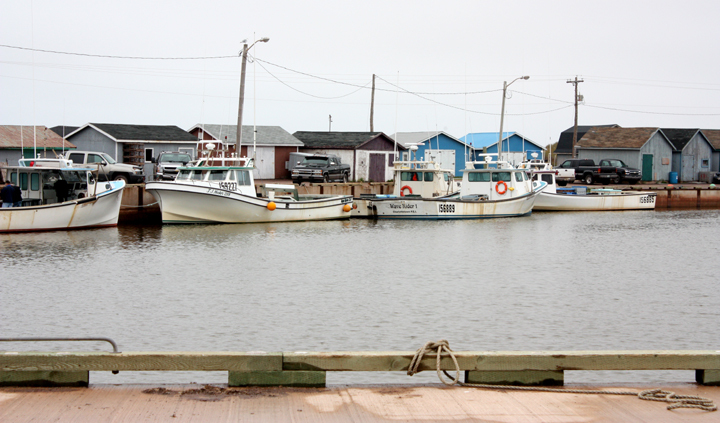 We are hoping our good fortune with weather holds, but that does not appear likely. Drizzly, foggy, and cool, with no wind.